Rotown in Rotterdam is a small concerthall. The maximum capicity is 250 people. Maximum sound pressure level at F.O.H. desk is Leq=103 dB (A-weighted) measured over 15 minutes! 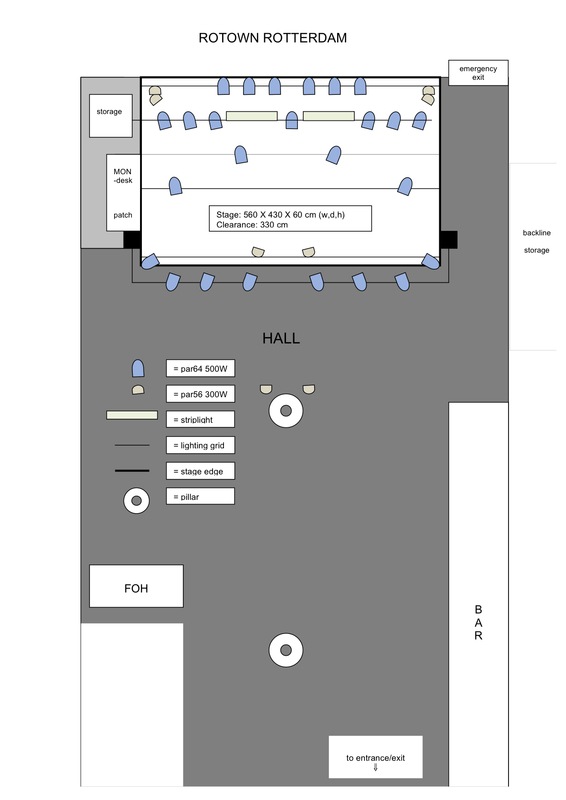 Our stage size is 5,6 x 4,3 metres with a clearance of 3,30 metres. Monday till thursday: from 18:30 till 20:00 hours. Friday till sunday: from 19:30 hours till 21:00 hours. 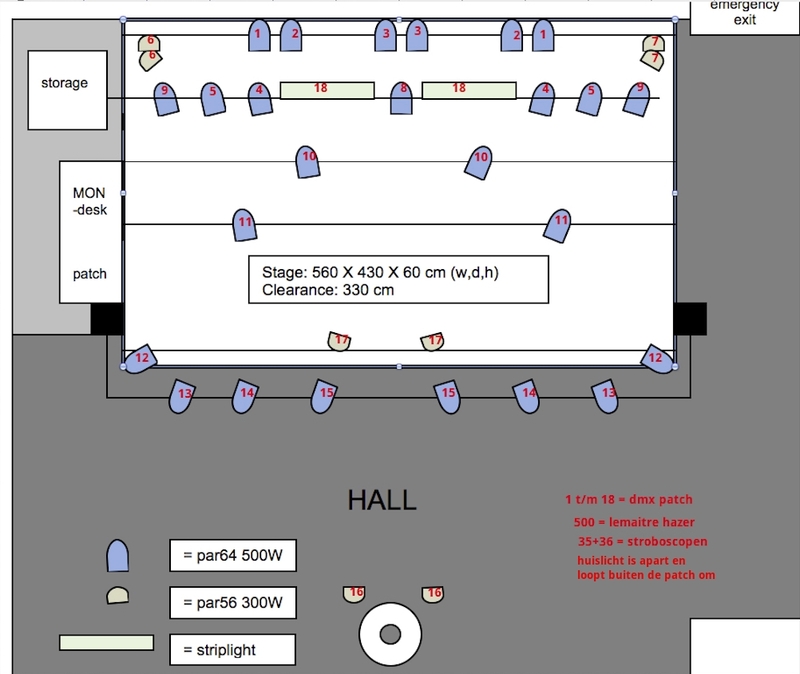 Click here for a stageplan.